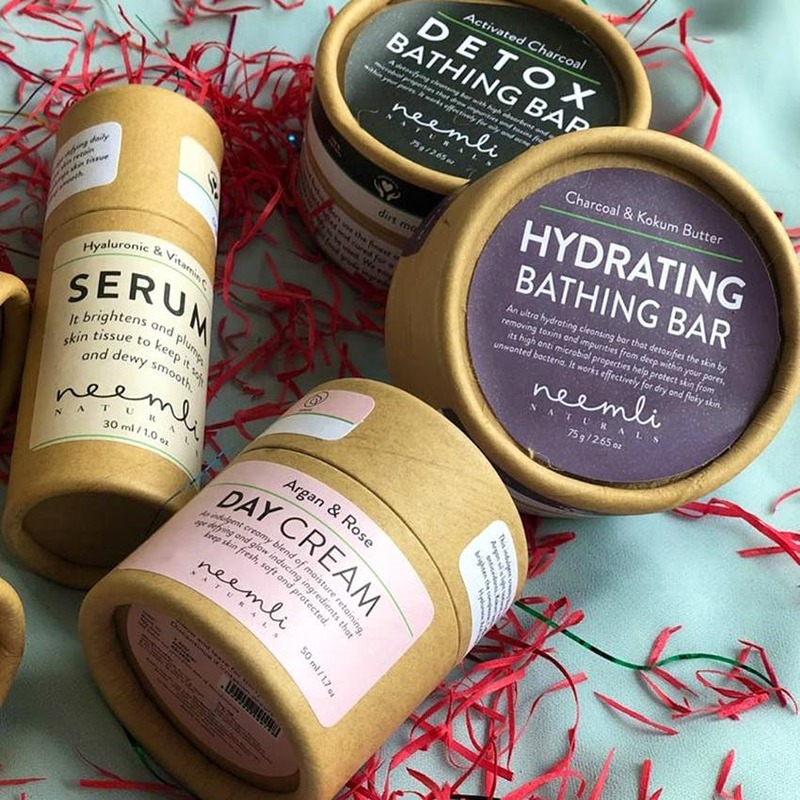 Neemli Naturals, a brand borne out of Bandra, Mumbai, is your answer to cruelty-free, vegan, and natural skin care. We're told they're 100% chemical-free, and so far, we're impressed by their shampoo, body scrubs and bath bars. Ditch all your chemical skin care in favour of Neemli Naturals, a brand that is said to be completely natural, vegan and cruelty free. Using essentially plant-based ingredients, as well as activated charcoal, Himalayan Sea Buckthorn and Olive Squalane from Japan, you can pick up everything from lip and body scrubs, bath bars, and body butters to serum, shampoo and what they call skin elixir. The activated charcoal, and the one with added kokum butter, are great for the skin to hydrate and also detox -- we tried it and it really does leave the skin supple and moist. Organic coffee scrubs is another hot favourite -- for fragrance and functionality! And men, don't stress. This brand almost caters more to you on a specific level than it does ladies! You'll find face masks, under eye creams, lip balms as well and pre and after shave oils. We haven't tried it yet but we're hoping to use the facial toners (for just INR 625). The care products run out quickly, so it's always a hit and miss. Perfect for those who want to be fussed about skin care, but currently are not, they have pre-made regimes that will give you step-by-step instructions, and exact products to be used each day. Be it a morning regime which includes soaps, moisturisers and toners to a set that focuses only on keeping the skin hydrated, it's a breeze. These also make great gifts, with prices starting at just INR 950 for three products.